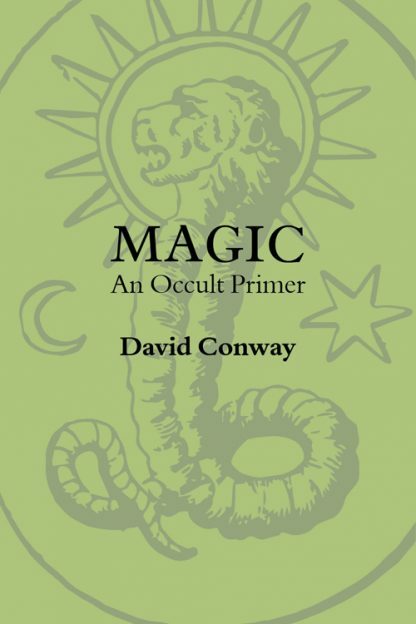 David Conway�s Magic: An Occult Primer is a seminal work that brought magical training to the every-magician in the early 70s. David is an articulate writer presenting the mysteries in a very workable manner for the serious student. Along with the updated texts on philosophy and practical magic is a plethora of graphics that have all been redrawn, promising to be another collector�s edition published by The Witches� Almanac. The book is divided into two sections: �Magical Theory� and �Magical Practice.� �Magical Theory� presents a very concise accounting of the philosophy behind magic. Conway begins with a expos� of magic within the confines of natural law, taking the time to meticulously find corollary for the basis of magic. He then takes us into an exposition of the Kabbalah and broader cosmological concerns. Conway drills down into daily practice and further explores the basic training necessary for a magician in this day and age. �Magical Practice� begins with the preparations necessary for the practice of magic. Conway begins this section with several tables of correspondences that will prove helpful to even the advanced magician. He continues with an examination of the timing of rituals as well as the place and ritual equipment necessary for rites. Conway then provides master rituals presented for both Kabbalistic and Egyptian approaches. He also presents detail on astral projection, talismanic magic, and prophecy. Magic: An Occult Primer ends with appendices that present detailed magical recipes, an examination of magical alphabets, and an extensive occult Who�s Who. David Conway is a mystic, magus, and author whose profound knowledge, unique insights, and clear writing style have affected literary esoterica since the early 70s. The seventh child of a seventh child, David was reared in seaside city of Aberystwyth, Wales and its surrounding environs. His education in magic began at a very early age when he studied with a local farmer, Mr. James, a magician he encountered in the Welsh countryside. David brought magical training to the forefront by publishing Magic: An Occult Primer very early in his adult life. This very same tome would prove to be the �go to� treatise for magicians beginning their own journey into sublime realms.